White Night Salad, with fried mushrooms and cooked egg yolks. It also taste delicious and is good looking on you dinner table. 1.) Wash and dry vegetables. 2.) 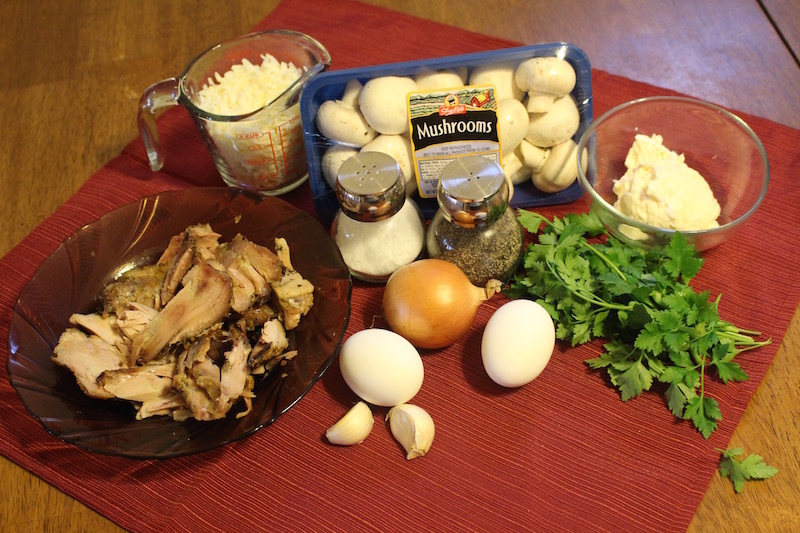 Slice mushrooms and cut onions, place into a greased skillet. (Cooking oil inside the skillet). Fry for 6-7 minutes. 4.) Add salt, pepper, garlic cheese and mayonnaise, then mix the ingredients with a spoon. 5.) 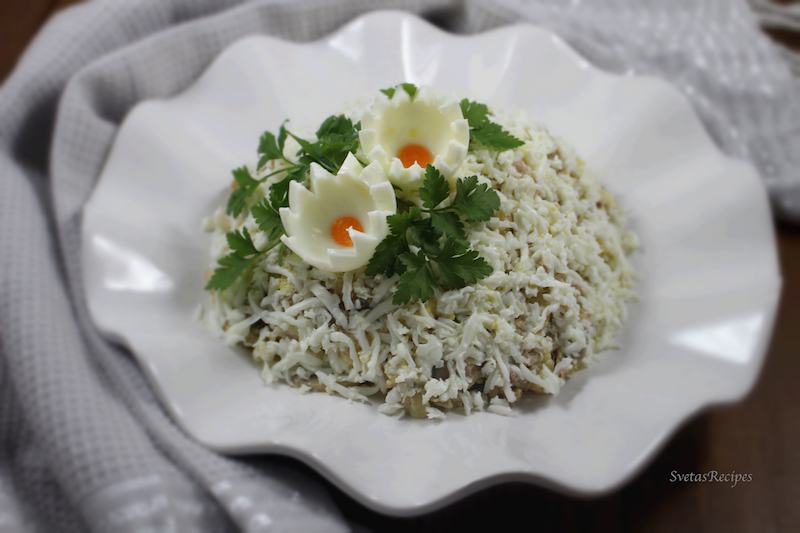 Place on a beautiful plate, sprinkle shredded egg whites on top and serve. 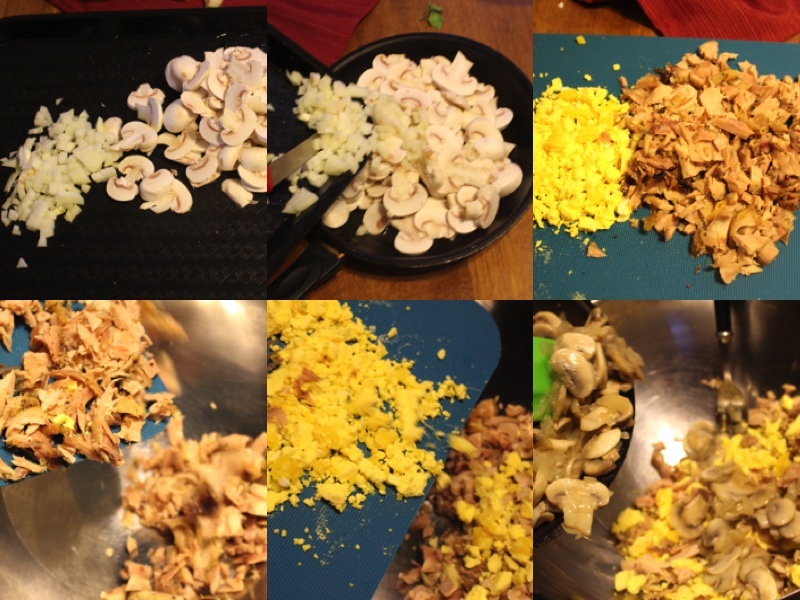 Slice mushrooms and cut onions, place into a greased skillet. (Cooking oil inside the skillet). Fry for 6-7 minutes. 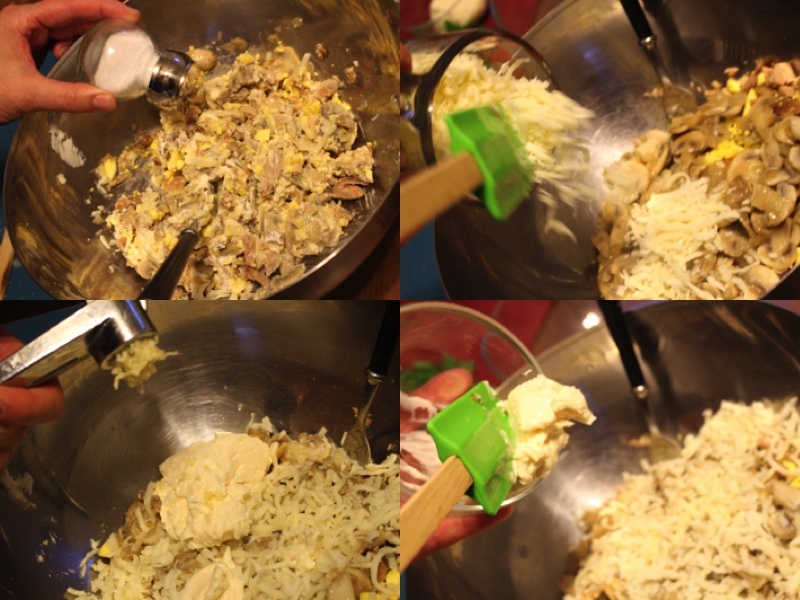 Add salt, pepper, garlic cheese and mayonnaise, then mix the ingredients with a spoon. Place on a beautiful plate, decorate and serve.